118ml (4oz) Tile above shows product applied to cone04/05 earthenware bisque. 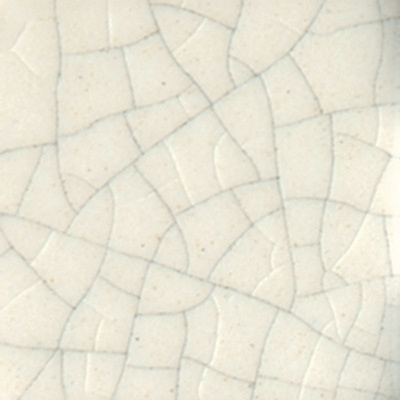 A brushing glaze that is designed to crackle after firing which provides a decorative non foodsafe finish. Enhance the fired crackles with watered down acrylic stains, brush over piece and wipe off immediately leaving colour just in crackles. Design work can be done onto the bisque with designer liners or one coat of Stroke and Coat, then Crackle glaze applied and fired to cone06 (1000C). If applied over heavy application (2 or 3 coats) of Stroke & Coat the Crackle Glaze will not crackle.